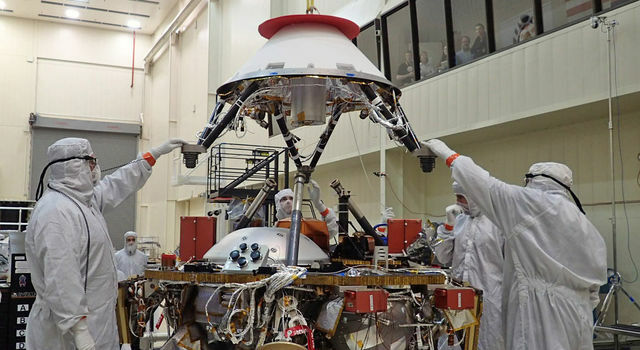 "Today, our robotic scientific explorers are paving the way, making great progress on the journey to Mars," said Jim Green, director of NASA's Planetary Science Division at the agency's headquarters in Washington. 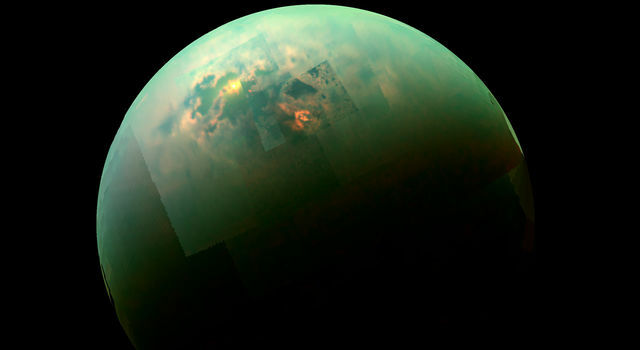 "Together, humans and robotics will pioneer Mars and the solar system." 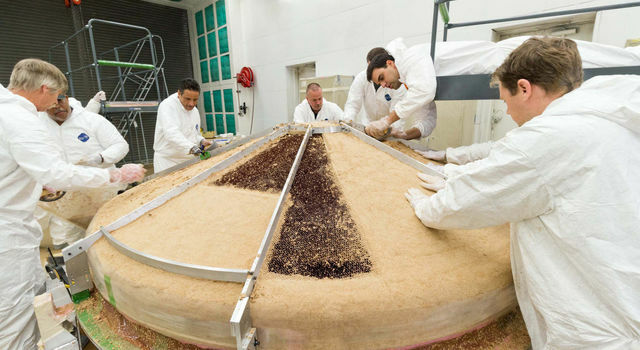 During the environmental testing phase at Lockheed Martin's Space Systems facility near Denver, the lander will be exposed to extreme temperatures, vacuum conditions of nearly zero air pressure simulating interplanetary space, and a battery of other tests over the next seven months. 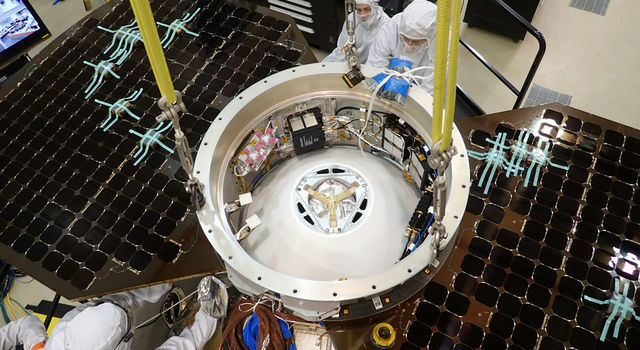 The first will be a thermal vacuum test in the spacecraft's "cruise" configuration, which will be used during its seven-month journey to Mars. 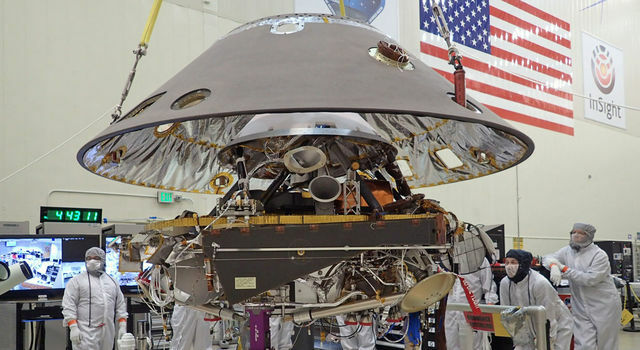 In the cruise configuration, the lander is stowed inside an aeroshell capsule and the spacecraft's cruise stage - for power, communications, course corrections and other functions on the way to Mars -- is fastened to the capsule. 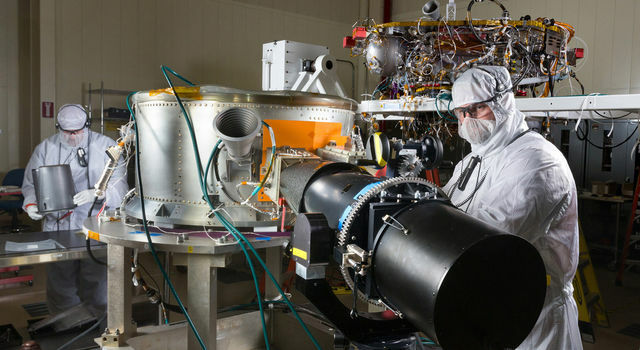 "The assembly of InSight went very well and now it's time to see how it performs," said Stu Spath, InSight program manager at Lockheed Martin Space Systems, Denver. "The environmental testing regimen is designed to wring out any issues with the spacecraft so we can resolve them while it's here on Earth. 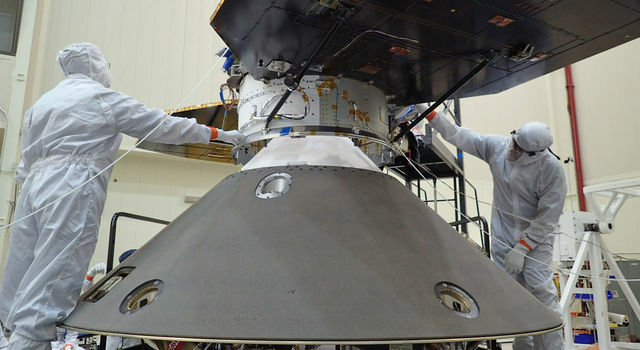 This phase takes nearly as long as assembly, but we want to make sure we deliver a vehicle to NASA that will perform as expected in extreme environments." The mission's science team includes U.S. and international co-investigators from universities, industry and government agencies. 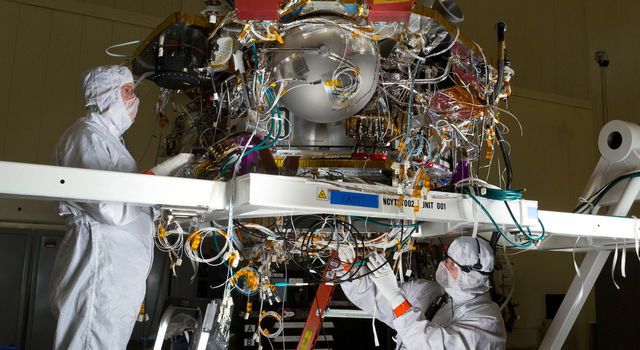 "It's great to see the spacecraft put together in its launch configuration," said InSight Project Manager Tom Hoffman at NASA's Jet Propulsion Laboratory, Pasadena, California. 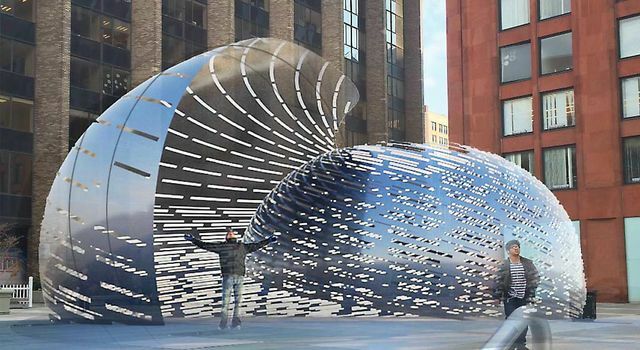 "Many teams from across the globe have worked long hours to get their elements of the system delivered for these tests. There still remains much work to do before we are ready for launch, but it is fantastic to get to this critical milestone." 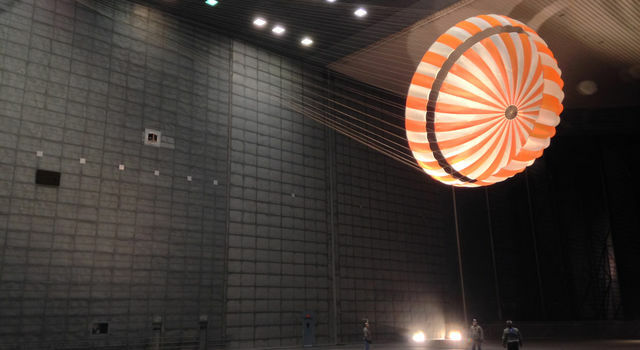 The InSight mission is led by JPL's Bruce Banerdt. 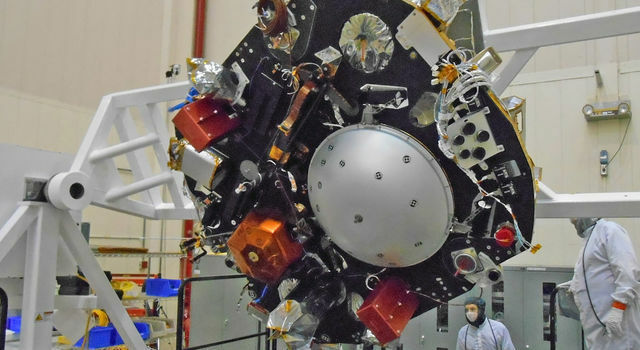 The Centre National d'Etudes Spatiales, France's space agency, and the German Aerospace Center are each contributing a science instrument to the two-year scientific mission. 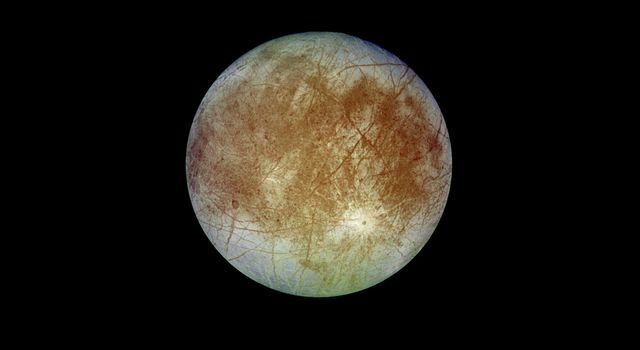 InSight's international science team includes researchers from Austria, Belgium, Canada, France, Germany, Japan, Poland, Spain, Switzerland, the United Kingdom and the United States. 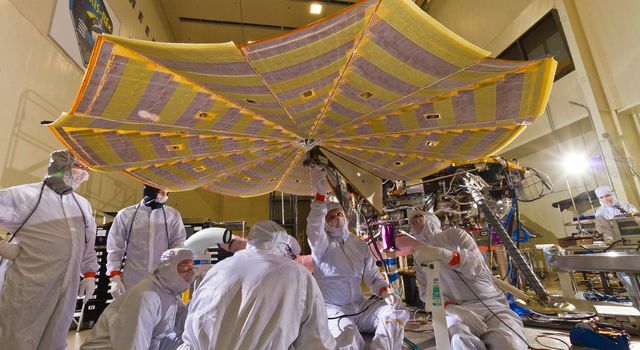 JPL, a division of the California Institute of Technology in Pasadena, manages InSight for NASA's Science Mission Directorate in Washington. 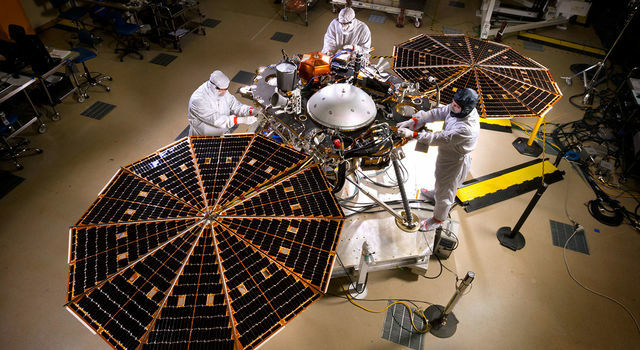 InSight is part of NASA's Discovery Program, managed by the agency's Marshall Space Flight Center in Huntsville, Alabama. Lockheed Martin Space Systems Company built the lander.